5 reasons why Australia can retain the Border-Gavaskar trophy: Coming into the first Test of their last series at home, world’s no.1 ranked Test side – India were undefeated in previous 19 matches. To add to Australia’s woes, they hadn’t won a Test on the subcontinent since 2011 as if the opposition was already any less intimidating, that too at their home and in front of their people. The inexperienced visitors were dubbed as the weakest Kangaroo side to have traveled India. And cometh the Pune Test, they were welcomed with the “driest” surface, they would have ever seen, forget playing. But in space of three days, Australia defied all the odds, all the pre-series predictions and every possible thing that might have sent chills down any other teams’ spine. They not only won, but bruised the hosts by a massive 333 run-win margin, their second worst home-defeat. Two things again proved true at Pune, first – cricket is not played on paper and second – “Australia is Australia”. These days, host nations deprive touring sides of proper practice in warm-up games by providing wickets that would be stark opposite to what they would get throughout the series. In Sri Lanka, Australia got a green-tinged pitch for their single tour match before getting spin-friendly strips. 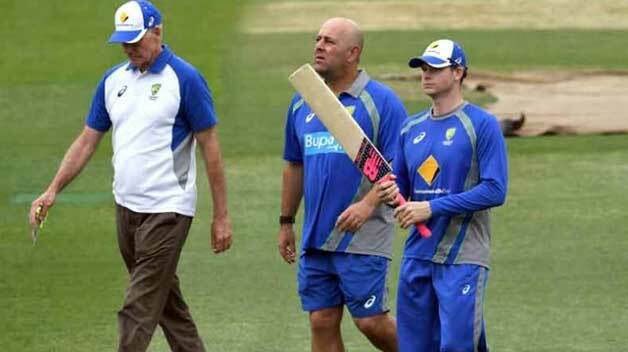 To avoid a similar fate and improve on their dismal Asian record, Australia spent substantial time in the United Arab Emirates this time and trained on pitches made from Pakistani soil at the state-of-the-art ICC Academy in Dubai. They worked on very specialized things, keeping in mind the Indian challenge and got themselves in the best possible shape before the Pune Test. They were intent not to let poor preparation hamper their performance, took the hard yards and the result in the first Test was there for everyone to see. Their batters eyes weren’t popping out of their head when they were getting beaten by balls turning miles. Similarly, their spinners didn’t get overawed by the extremely helpful pitch at Pune instead they kept bowling at good line and lengths and left the pitch do the magic. The close-in fielders were exceptional even with the half-chances. So, this time Aussies have arrived with all guns blazing and are very well prepared in all the departments. So, we do have an exciting series at our disposal.